Reptar Aviation Museum in Szolnok, Hungary features one of the finest aircraft collections in Eastern Europe. The main hangar spans the complete history of flight, while the outdoor area focuses on warbirds from the Cold War era. A long row of MIG jet fighters begins with a MIG-15 and ends with a MIG-29. Also included are two immaculate F-104 Starfighters, some enormous MIL helicopters, and a variety of other aircraft from Russia and Eastern Europe. 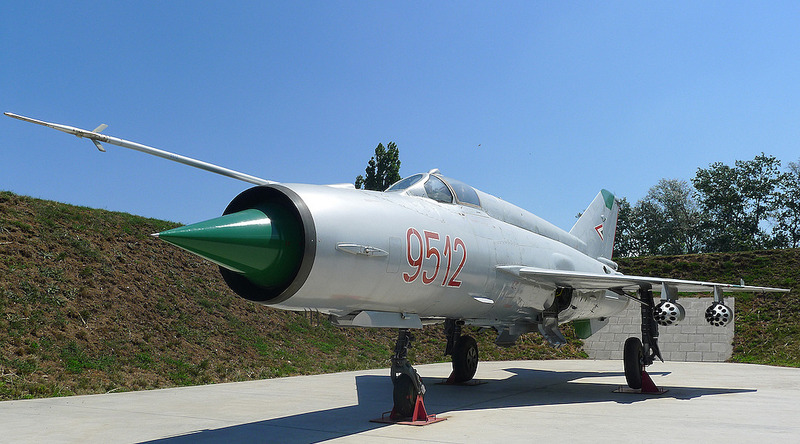 Several incarnations of the MIG-21 — the most produced jet fighter in history — are on display. Perhaps the finest example at the museum is a silver MIG-21 in Hungarian Air Force markings, number 9512. This perfectly restored warbird, sporting four rocket pods, is parked at the far end of the outdoor exhibition area in a custom built blast pen. Another distinctive MIG-21 at the museum is Red 1904 of the Sky Hussars aerial display team, sporting an eye catching mustard yellow finish. It is known as Cápeti, a reference to a French cartoon called Sharky et Georges (in Hungarian, Cápali és Cápeti). Aviation modellers will delight at the large dioramas on the ground floor of the main hangar. And not to be missed is the wreck of a WWII Ilyushin IL-2M dredged from the ocean floor. If you ever wanted to model a crashed aircraft, this display is an excellent visual reference. Something you don’t see every day! The easiest way to get to the museum is by train from Budapest. If you catch an IC train, the ride takes about an hour and a half. Once you arrive in Szolnok, it’s a short cab ride from the train station to the museum. For more information, see https://reptar.hu/en/.